What is Safety Promotion Component of 4 Pillars? The Safety Risk Management and Safety Assurance pillars of SMS receive by far the most attention. Lagging behind them is Safety Policy. Safety Promotion receives 3 pages of coverage. 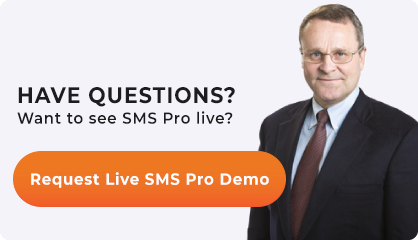 In short, Safety Promotion covers all of the mission-critical mechanisms that allow your SMS program to work in the operational environment. 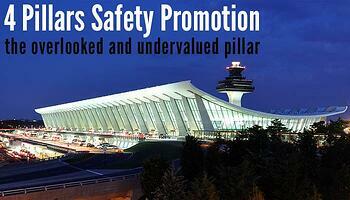 You could even make the argument that Safety Promotion is the most indispensable of all pillars. Poor demonstrations of safety promotion in an SMS program, such as poor awareness, communication, and/or safety culture, will completely cripple a safety management system. No other pillar can boast such a claim. A demonstrable policy of non-punitive reporting. Ability for management to openly discuss (such as in meeting) any safety issue without receiving resistance or negative reactions. It’s always recommended that safety management outline specific Safety Promotional goals in their policies. Most promotional activities are what we call “input activities.” What this means is that they are influencing what goes in to safety performance (as opposed to Safety Assurance, which addresses what comes out of safety performance). It’s also no coincidence that a majority of aviation leading indicators address the Safety Promotion pillar. Safety culture building (such as with reward programs, etc.). More than any other pillar, we have seen Safety Promotion at its most successful when companies have a dedicated calendar for promotional activities. This is because it’s easy to get bogged down in SRM, Safety Policy, and SA activities, and only practice promotion sporadically. This calendar will ensure that daily, weekly, and monthly promotional activities are consistent. Compare success/failures of leading indicator metrics to company key performance indicators. Having a side by side visual comparison of leading indicators, employee performance, and KPIs will produce solid evidence and great understanding of what promotional activities are or aren’t translating to improved performance on an individual and company-wide level. So the question remains: if Safety Promotion is so important, why is it so undervalued? First and foremost, oversight agencies are not making it a priority. When the FAA only allots 10% of its requirement descriptions to Safety Promotion and 90% on the other three pillars, it’s no wonder the lack of safety promotion is endemic in aviation safety programs. Are you monitoring the frequency of your safety promotional efforts? Do you know who is attending safety meetings or how often they are happening? How much do employees know about current safety issues in the company? Unfortunately, most companies don’t have much to say in response to these kinds of questions. Who can blame them? Oversight agencies are pushing much higher priorities on service providers and so promotion gets lost in the weeds. The components of Safety Promotion (“culture,” “communication,” etc.) are extremely vague. Combine this vagueness with a sore lack of oversight guidance, and companies have very little incentive to make a sincere go at Safety Promotion. Learn some non-vague, well-grounded activities for improving and monitoring promotion.